We are very pleased to announce that Google has committed to support DebConf17 as a Platinum sponsor. Google has been supporting Debian by sponsoring DebConf since more than ten years, and at gold level since DebConf12. With this additional commitment as Platinum Sponsor for DebConf17, Google contributes to make possible our annual conference, and directly supports the progress of Debian and Free Software helping to strengthen the community that continues to collaborate on Debian projects throughout the rest of the year. Thank you very much Google, for your support of DebConf17! Many Debian contributors are already taking advantage of DebCamp and the Open Day to work individually or in groups developing and improving Debian. DebConf17 will officially start on August 6, 2017. Visit the DebConf17 website at https://debconf17.debconf.org to know the schedule, live streaming and other details. DebConf17 welcomes its first eighteen sponsors! DebConf17 will take place in Montreal, Canada in August 2017. We are working hard to provide fuel for hearts and minds, to make this conference once again a fertile soil for the Debian Project flourishing. Please join us and support this landmark in the Free Software calendar. Eighteen companies have already committed to sponsor DebConf17! With a warm welcome, we'd like to introduce them to you. Our first Platinum sponsor is Savoir-faire Linux, a Montreal-based Free/Open-Source Software company which offers Linux and Free Software integration solutions and actively contributes to many free software projects. "We believe that it's an essential piece [Debian], in a social and political way, to the freedom of users using modern technological systems", said Cyrille Béraud, president of Savoir-faire Linux. Our first Gold sponsor is Valve, a company developing games, social entertainment platform, and game engine technologies. And our second Gold sponsor is Collabora, which offers a comprehensive range of services to help its clients to navigate the ever-evolving world of Open Source. As Silver sponsors we have credativ (a service-oriented company focusing on open-source software and also a Debian development partner), Mojatatu Networks (a Canadian company developing Software Defined Networking (SDN) solutions), the Bern University of Applied Sciences (with over 6,600 students enrolled, located in the Swiss capital), Microsoft (an American multinational technology company), Evolix (an IT managed services and support company located in Montreal), Ubuntu (the OS supported by Canonical) and Roche (a major international pharmaceutical provider and research company dedicated to personalized healthcare). ISG.EE, IBM, Bluemosh, Univention and Skroutz are our Bronze sponsors so far. And finally, The Linux foundation, Réseau Koumbit and adte.ca are our supporter sponsors. 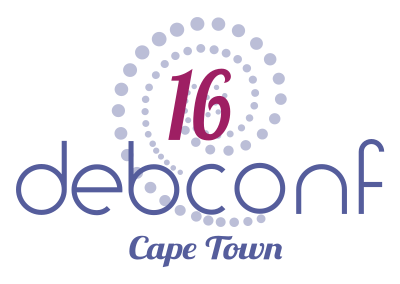 For further details, feel free to contact us through sponsors@debconf.org, and visit the DebConf17 website at https://debconf17.debconf.org.